Diamond Bank Plc said on Friday that it had yet to receive any investment offer from potential investors, Reuters reported. The lender said no investors had come forward to inject cash into the company and that its board was reviewing all strategic options. The bank’s comment came after it said last month that four of its directors, including its former Chairman, Oluseyi Bickersteth, had resigned, fuelling speculation that the lender was in talks with a new investor to recapitalise. The bank, which has been managing its capital since 2016 to ensure it stayed within the minimum regulatory ratio, said it would consider raising fresh funds after selling some assets to strengthen its balance sheet. 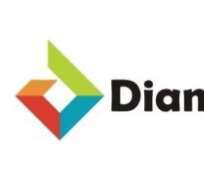 A statement from the bank read in part, “The Board of Diamond Bank notes the media speculation relating to comments attributed to its former chairman, Mr Oluseyi Bickersteth. Contrary to such media articles, the board wishes to clarify that the company has not received an offer from an investor to inject cash. Bickersteth told Reuters in October that he was still on the board of the bank and that he favoured looking at all options for recapitalisation, including a rights issue or a takeover. The bank has 61.9 per cent free float, while Carlyle owns a 17.75 per cent stake, which it bought for $147m in 2014 when the bank was trading at 0.6 times book value as against 0.15 times now.